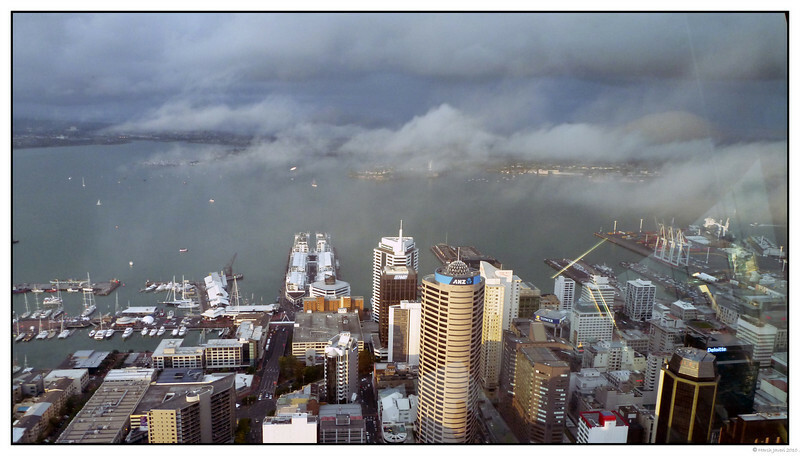 Shot from 60th floor of Sky Tower. This was shot through the viewing gallery glass and hence some reflections. It was cloudy with occasional showers but luckily the sun came out a bit in the evening and I was lucky to get that with a cloud cover. wow....what an amazing view ..incredible shot! What a wonderful shot through glass Harsh, very well done & impressive cityscape. I like the high perspective from the 60th floor. Gorgeous, and fantastic detail through glass. Oh my, what an incredible view!